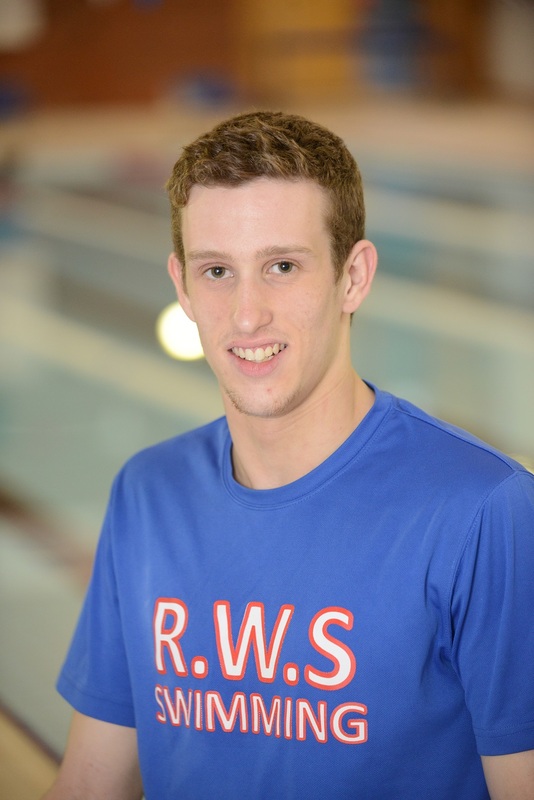 Tom started his swimming career at the age of 7 and was competing at his first Counties at 9 winning the overall BAGCATS competition and he has attended several Regional competitions. But until the age of 15, swimming wasn’t his first love. He always preferred his football, both playing and supporting, and is still a strong Chelsea F.C. fan. (Hopefully you won’t hold that against him). His first major competition success came in January 2012 when won the ASA zonal South 100 backstroke and achieved his first national time. Since then he managed to achieve National qualification every year since. Tom’s current best Long Course time for the 100 Backstroke is 58. which he achieved in June 2014. Tom is a Level 2 Swim Coach, previously giving outstanding lessons in his spare time. He also took swim sessions for the Junior Squads at his previous club. Tom saw this opportunity and grabbed it at the Royal School and decided to move from Aylesbury in order to help develop and work with world class swimmers and coaches. Tom has contributed to many superb results in the pool and in the gym and is looking forward to developing the next generation of excellent swimmers from the Royal School.